What's the time commitment to MIT's ROTC program? Every week, cadets attend military classes and leadership lab (LLAB). For the freshmen and sophomores, classes are 1-hour per week and 2 hours of LLAB. Freshmen can also volunteer for jobs within the cadet wing or join any of the special programs and extracurricular activities throughout the year. For juniors and above, cadets attend class 3-hours/week and attend the same LLAB. Juniors and seniors will most likely hold a position within the cadet wing, which varies in time commitment based on the job description. In addition, cadets attend one-hour physical training (PT) sessions twice each week. Are there any special organizations I can join? Yes. Three of our special organizations include Arnold Air Society (AAS), Civil Air Patrol (CAP) and the Color Guard. AAS is a professional, honorary service organization, where our members practice leadership and communication in campus and community projects. AAS is also active with the Air Force Association (AFA) and other veteran organizations. Every year, Det 365 participates in the CAP program, at no cost to participating cadets. This program was formed to encourage cooperation between AFROTC Detachments and local CAP squadrons. The program currently offers four, front-seat and four backseat sorties in a small aircraft. 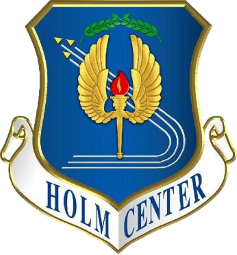 Det 365 participates via the Hanscom Flight Training Center, located just outside of Hanscom Air Force Base about 12 miles from campus. The Color Guard is a joint ROTC service group that participates in honoring our flag and organization with past traditions. Ceremonies performed in the Boston area include the induction for Postmaster of Cambridge, honoring Veterans Day celebrated at Harvard and Tufts, and representing the flag and armed forces in Boston parades. They are active Air Force ROTC ambassadors on campus by providing support for home sporting events. What types of extracurricular activities are there? Extracurricular activities provide cadets the opportunity to participate in Air Force and tri-service events, which would include our neighboring Navy and Army ROTC units. In the fall semester, this begins with the New Student Orientation (NSO), which is a weekend retreat for new cadets interested in joining the program. We continue in the fall with the formal Dining-In and POW/MIA vigil on campus. The spring semester includes Field Leadership Exercise and the Tri-Service Military Ball. The cadet wing also coordinates two base visits each year. Some past base visits have included flying in a UH-1 Huey around Washington DC out of Joint Base Andrews and flying T-38s at Sheppard Air Force Base. Through base visits, cadets get a firsthand look at the daily operations, career opportunities, local amenities and active duty lifestyle from a specific installation. In between all the major events, the cadets will also organize informal events to build esprit de corps. This includes a variety of social functions, such as pizza parties, movie trips, and playing paintball. For information about how to contact us, please visit the Contact Us page.